In the children’s book “The Polar Express,” by Chris Van Allsburg, a young boy is taken on a magical ride through wooded forests, up snow-covered mountains, and across the polar ice cap. He meets Santa at the North Pole and is given the first gift of Christmas: a bell from one of Santa’s reindeers. Although the bell falls out of the boy’s pocket before he makes it home, it miraculously reappears under his tree on Christmas morning. But only those who believe can hear the bell. 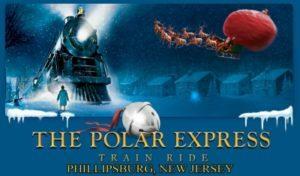 Is there a real Polar Express that takes visitors to the North Pole? Not exactly. The North Pole is situated on a cap of floating ice in the Arctic Ocean and cannot be accessed by car or train. 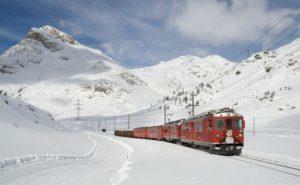 But you can take spectacular railroad trips in Canada and Alaska and see wildlife that doesn’t exist anywhere else, and landscapes that will take your breath away. It’s such a magical experience that you may even hear the ringing of Santa’s sleigh bells if you listen hard enough. The White Pass & Yukon Route Railroad will take you on a journey aboard one of the most scenic railways in the world. You can travel to the summit of the White Pass, a mountain pass through the Coast Mountains between Alaska and Canada. Beyond White Pass are the Fraser Meadows, where the railroad route is an engineering marvel of twisting turns through a rugged landscape. The Alaska Railroad is the northernmost railroad in North America and offers a 10-day tour from the coast to the interior of the state. You’ll see fjords, go on a dogsled ride, and take a tour of a gold mine. You can take a detour and go on a “flight-seeing” tour so you can get a bird’s eye view of the landscape. Hike in Denali National Park and stand at the base of Mount McKinley. You can even take a glacier cruise on the Prince William Sound. Travel through Vancouver, Calgary, and Banff and explore the national parks of British Columbia. Stop for a day hike and visit the bears and elk, or go to Whistler and experience the comfort of a small, friendly town and the exhilaration of a day on the slopes. The Rocky Mountaineer is a double-decker train with domed windows that give you a full view of the landscape as you glide through the wilderness. You wouldn’t get a better view unless you were atop Santa’s sleigh. The Polar Bear Express in Northern Ontario begins in the coastal towns of Moosonee and Moose Factory. 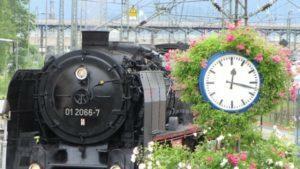 Its journey ends in Cochrane and takes passengers through the heart of Northern Ontario. Although visitors will not likely see any Polar Bears in this part of Canada, they will get to meet friendly people and travel through thick forests dotted with serene lakes. It’s a unique trip that also offers an audio tour so you can understand what you are looking at as you coast down the track. If you travel on the VIA Rail from Winnipeg to Northern Manitoba between October and November, you may witness polar bears trekking through the wilderness. It’s an Arctic adventure through prairie and boreal forest that you’ll never forget. You won’t get to ride on Santa’s sleigh, but you will be able to get close to the polar bears on a tundra buggy, a huge, enclosed vehicle with large wheels that takes you through the snow and ice. If you travel in the summer, you can kayak out to catch a glimpse of beluga whales. If you no longer hear the ringing of Santa’s sleigh bells at Christmas time, get inspired by one of the most memorable trips you will ever take. It may bring back your imagination—and though you won’t reach the North Pole, you’ll be enchanted and captivated by what you see. Travel blogger Rita Hathaway is usually on the road during the holidays, so she loves the easy choices of buying her decorations, garlands and wreaths online.